The Rewarding Choice Game is an instant rewards game available at Shell SELECT stores nationwide. It is only available at limited time from 1 to 15 January (2pm - 4pm). You will stand a chance to win rewards from wide variety of snacks, beverages or limited edition Shell souvenirs. 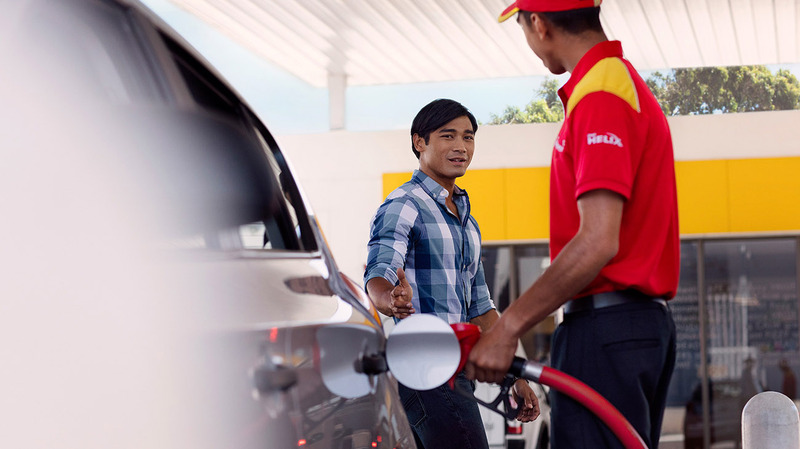 Spend - a minimum of RM40* at Shell stations. Pick - your receipt and display at the counter. Scan the QR Code. Once you landed on the game page, click to proceed. Answer a simple question correctly. Pick a choice & scratch to reveal your reward! Win - the game and redeem your reward in Shell SELECT. *Terms & Conditions apply. Rewards subject to whilst stocks lasts. Minimum spend includes purchase of any Shell Fuels, Shell Lubricants (Shell Helix, Shell Advance or Shell Rimula), Shell Kerosene (except Jet A1) or any products sold within Shell SELECT, excluding tobacco products, E-Pay products, and Touch N Go Reloads. You may accumulate receipts to meet the minimum amount of RM40* subject to purchases made on the same day at the same Shell station. Visit The Rewarding Choice website for more info.